Click the links below for your free teacher’s and student’s guides to the Big Ideas books, filled with detailed instructions and extra ideas. 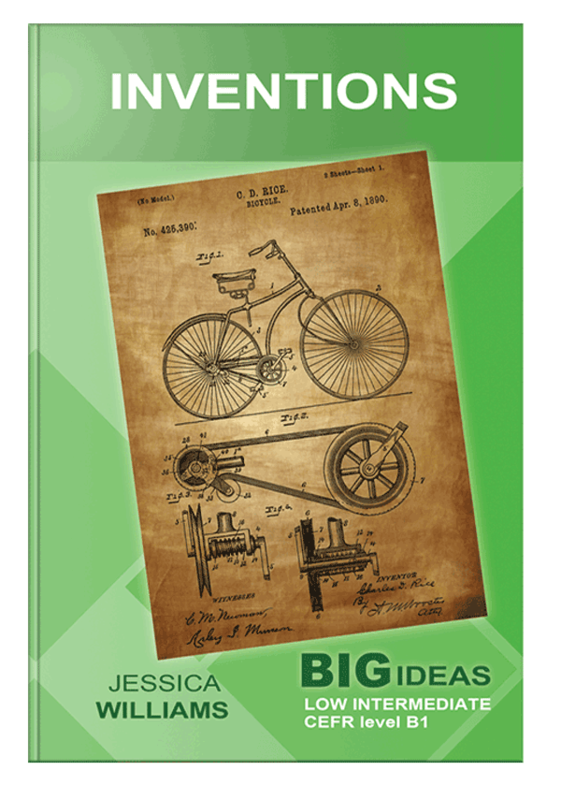 Have you ever looked at something and wondered, “Where did that come from?” The 15 articles in Inventions will tell you the history of inventions, from simple things, like pencils, to complicated one, like the GPS on your cellphone. Some inventors were famous, but others were ordinary people with surprising stories. Big Ideas readers help you learn about the world while you learn English. Jessica Williams is an author, teacher, and teacher trainer in the field of English Language Teaching (ELT). She was a professor of Applied Linguistics for more than 30 years at the University of Illinois at Chicago, where she prepared hundreds of students to teach English. For the past twenty years she has been writing print and digital ELT materials.